Drones have become important tools not just for presidents and rock stars, but for real estate agents, too. 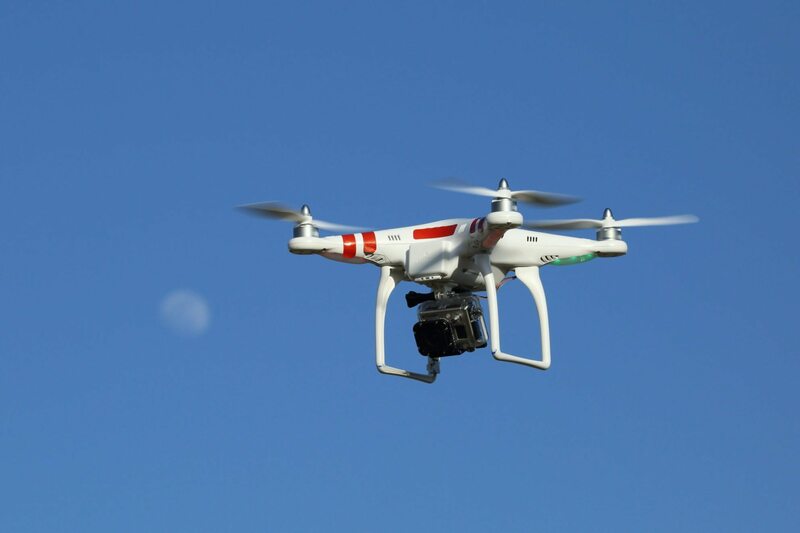 A drone refers to any type of unmanned aerial vehicle (UAV). These vehicles come in a variety of shapes and sizes, although they usually take the form of some sort of small airplane or helicopter. Drones are operated remotely and, depending on their classification, can have a range of anywhere from 2 kilometers to more than 200 kilometers. Drones typically are equipped with cameras, but they also can be used to deliver supplies and can even be used in combat missions. So what do these futuristic devices have to do with real estate? Drones are one of the latest high-tech tools that real estate agents are starting to use, and they represent a major advantage to anyone who has the ability to use them properly. In order to get a better idea of how drones can be used to sell real estate and how a camera drone actually works, we spoke with Shawn Talbot, one of the busiest advertising photographers in Canada and the star of the new documentary Web series 1 Stop Closer. Talbot and his business partner, Jan Vozenilek, have been using drones for the past two years, and they have produced some stunning photos and videos for real estate agents using their custom-built eight-rotor UAV. Through their company, Rubicon Aerial Cinema, Talbot and Vozenilek use their camera-equipped drones for everything from surveying hydroelectric dams to capturing tourism videos. They’ve also found that drones are becoming popular with real estate agents, especially those focused on the high end or luxury real estate market. In fact, many real estate agents from Vancouver to Prince Edward Island have come out in the news this year saying that the photos and videos captured by drones have helped them sell more properties. In the past, if a real estate agent wanted aerial shots of a property, he or she had to hire a helicopter to get the job done. But helicopter shoots aren’t cheap and, as Talbot explains, drones are better suited for this type of photography than helicopters in more ways than one. When you hire a helicopter, you’re going to pay significantly more than if you decide to hire a drone photographer. And the process of setting up a drone shot is much more simpler than setting up a helicopter shoot. The process of setting up and flying is about four or five minutes. How does drone photography work? Drones, though they may look like toy airplanes or helicopters from afar, are actually much more complicated than they appear. Controlling one of these devices is not like playing with a remote-control helicopter from Future Shop, and the consequences of making a mistake are far more drastic. Most camera drones require at least two operators who are trained in the art of drone flying and aerial photography. The first operator controls the rotors and the direction of the drone while the second operator is in charge of the camera. Both functions are controlled via remote transmitters, and the camera operator also has a monitor screen that allows him or her to see what the camera sees. In Talbot’s case, it’s up to Vozenilek, the camera operator, to decide whether to shoot still photos or videos at any given moment, as the cameras that their drones use can switch instantly between either function. For real estate agents, the process of flying the drone from the ground means that they have a lot more control over the whole process, even if they don’t know how to operate the drone themselves. Camera drones are not without their critics. Notable among them is the Federal Aviation Administration (FAA), which has been clamping down on American real estate agents using drones in recent months. In the U.S., as opposed to in Canada, it’s illegal to use drones for any sort of commercial purpose. But that hasn’t stopped real estate agents from trying to take advantage of this technology. In fact, the FAA has issued subpoenas and cease-and-desist orders to several real estate companies in the last year, according to a report from Mashable.com. In Canada, the federal government has taken a different approach to drones, choosing to regulate the use of commercial drone operations rather than ban them outright. For Talbot and Vozenilek, this means what they’re doing is 100 percent legal, but in exchange for that legal clearance they’ve had to go through a fairly arduous certification process. Richard Silver is a Sales Representative with Sotheby’s International Realty Canada and has been a member of the Toronto Real Estate Board and an active Realtor® for 33 years. He loves teaching about technology and and how he has adopted it into his successful real estate business. You can see more on his blog at Torontoism.com.